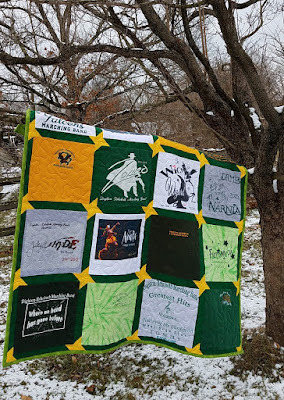 Another high school band quilt highlighting the band music played throughout the years! 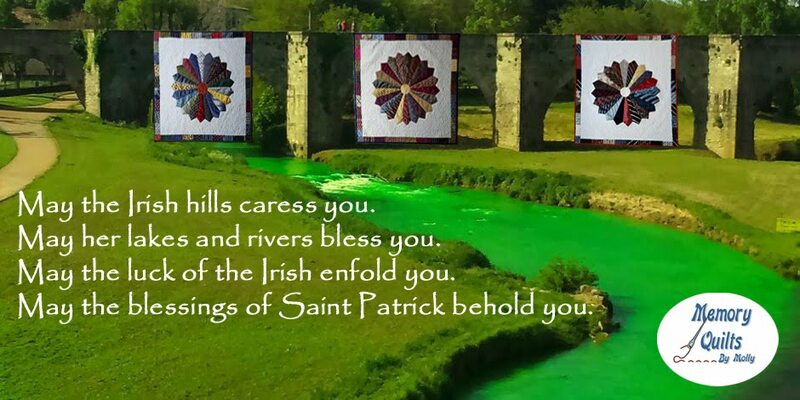 I just love the greens and yellow colors that were used in this quilt. 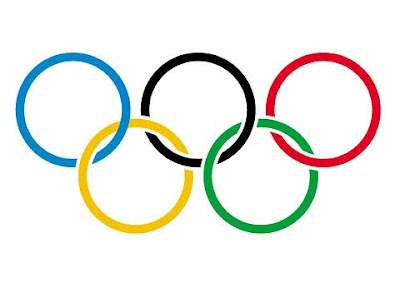 Of course they are the schools colors! 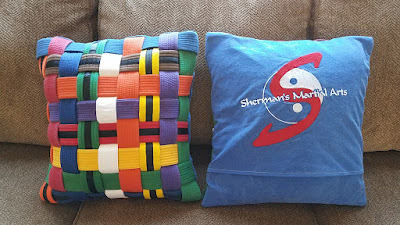 Karate pillows just got even nicer! MQBM backed each pillow with the client's Karate uniform that has a special embroidered studio insignia. Gotta love it! 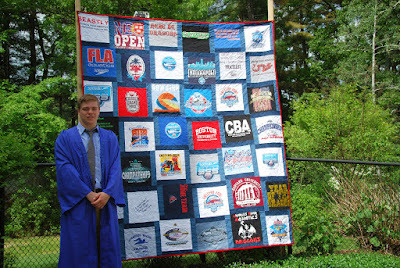 NOW is the time to order graduation quilts if you are interested in one. Currently I have 14 in the queue many are for graduation. I dislike turning people away so please plan accordingly. 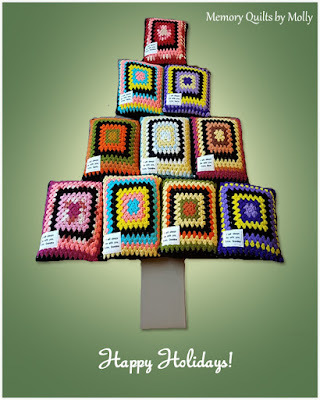 May joy and peace be yours throughout the New Year! 2018 was the year of the pillow! 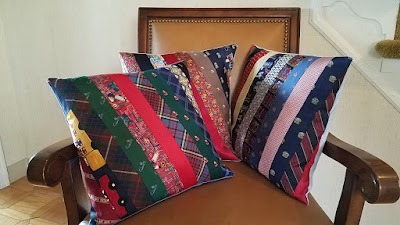 Tie Pillows are the rage! So many have been ordered this holiday season. 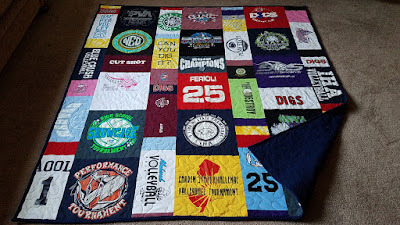 MQBM's first volley ball quilt! 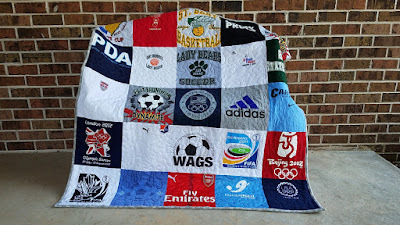 It is a Modern Style Lap quilt that measures 68" by 73". 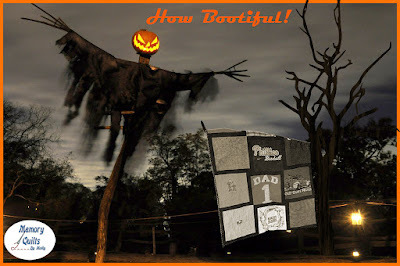 It's the year of the Pillow for MQBM! A record number have been made. 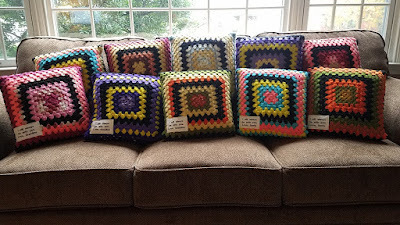 These gorgeous pillows were made from a special grand mom's crocheted blanket. Embroidery was added to make them extra special: "I will always be with you, Love Grand-mom"
Pillows make great holiday gifts and only take 2 weeks plus shipping.